As you may remember from the end of my last newsletter, my family and I have been inspired and moved by Lin-Manuel Miranda’s brilliant, addictive Broadway musical, Hamilton. More on that later, but I hope you’ll indulge me as I use lyrics from the musical as headings for today’s newsletter! Faced with rising global temperatures from burning fossil fuels, the City of Encinitas is poised to do its part to cool the climate. It starts with a plan and measurable goals. This coming week at our City Council meeting, we’re planning to consider an updated Climate Action Plan and take the first steps toward Community Choice Energy, or CCE. Being an environmentally committed city doesn’t mean just talking about it. It requires bold action. These are critically important steps in walking the talk on Encinitas being a green city. In evaluating how to reduce the amount of carbon created in our city, we have to start with a baseline understanding of what exactly we produce and where it comes from. We are using 2012 as our baseline year, and here’s what we know. I find these facts fascinating. For our city’s roughly 60,000 residents, more than half (54%) of the carbon produced here comes from our automobile emissions. This statistic is based on car trips that begin or end in Encinitas, but doesn’t count the carbon that lingers in Encinitas from cars driving through here on the I-5 freeway. Stricter vehicle efficiency standards and electric cars will help drive this number down. The second largest source of Encinitas’ carbon (23%) comes from burning coal and gas to produce our electricity. Community Choice Energy (more on this below) addresses this issue. The third highest generator (13%) of our local carbon is natural gas, which we use in our homes’ stoves, dryers, and water heaters. In fourth place (5%) is the methane gas that results from food and other waste that we put in our landfills. Diverting food and plant waste to composting or other non-landfill options will reduce this carbon category. The fifth carbon category (3%) comes from the energy needed to transport our water from the Colorado River or Northern California to arid Southern California. Reducing our water use, getting water locally from sources like Lake Hodges, and re-using our treated wastewater, will minimize carbon generated from transporting water. Finally, there’s “Off-Road Transportation” (2%), meaning ATV’s, leaf blowers, light commercial vehicles and boats, then treating and transporting wastewater at .4%. So when we look at these numbers altogether, we see that each person produces about eight metric tons of carbon per year. State goals and guidelines say that our target should be six metric tons per person by 2020 (only three years away) and two metric tons per person by 2030. Many of these reductions will happen because of state standards that won’t require much effort from Encinitas’ elected leaders or citizens. For example, the state sets how much carbon emissions cars can produce, how much food waste can be deposited in a landfill, or what percentage of an energy utility’s portfolio must come from renewable sources. But in order to meet our targets here in Encinitas, a portion of our carbon reduction must come from our own decisions. The single most effective change would be to implement a program that allows Encinitas residents to choose where their energy comes from. Community Choice Energy would give us this freedom. This would be a local, not-for-profit program that acquires energy on behalf of residents, businesses, and government. Several cities and counties, such as Marin, Napa, Contra Costa and Lancaster, have already set up these community choice programs. There also a number in the pipeline, including Los Angeles, Monterey, San Jose, and others. There are three good reasons for considering switching from SDG&E to Community Choice Energy for the source of the energy itself. The transmission of the energy through the power lines would still stay with the utility because the substantial and needed infrastructure is already in place. Lower cost: Residents can lower their electric bill when they buy power in a competitive marketplace. Freedom of choice: The utility currently has a monopoly on the profits in the energy market. Here’s an editorial in this week’s Coast News sharing this market-based perspective. Green commitment: Residents want us to be powered through renewable sources such as solar and wind, not through extractive industries like digging coal out of the ground. There is no other way to achieve 100% renewable sourcing of electricity for our residents. After attending a regional forum on CCEs and hearing the experiences of other municipalities in negotiating with their local utilities, I was hopeful we’d have leadership at the county level as other regions have had. Unfortunately, San Diego County’s Board of Supervisors decided against even considering a CCE when it was proposed by Supervisor Dianne Jacob several months ago. My second preference would for it to be centrally organized for all 18 cities through an agency such as SANDAG, but there hasn’t been a clear opening or any interest in this from this agency, whose focus is transportation, not energy. I brought it up at a public meeting and the idea didn’t gain any traction at that time. Currently SDG&E provides the power for all of San Diego and parts of Orange County. At 3.6 million people, that’s a large territory. It has become clear that the City of Encinitas and other cities in North County will need to lead for our own residents if we’re going to make it happen here. Solana Beach is already ahead of us and Del Mar has committed to further exploration. Both Oceanside and Carlsbad are strong potential partners. It would be easy to maintain the status quo of using SDG&E to both transport and source our electricity, but we must move forward with more visionary solutions to help cool our warming climate. The vision starts with cities like ours. And it starts with leaders willing to roll up their sleeves and slog around in the mud a bit. As part of our city subcommittee, Councilmember Tasha Boerner Horvath and I, along with able and motivated city staff from Encinitas and neighboring cities, have already begun wrestling with the pros and cons of various possible governance structures. It’s pretty technical and dry, so I’ll spare you the details. But we’re aiming for the most cost-effective, nimble, risk-averse and timely approach. Here are links to this week’s City Council agenda reports for the Climate Action Plan and Community Choice Energy. 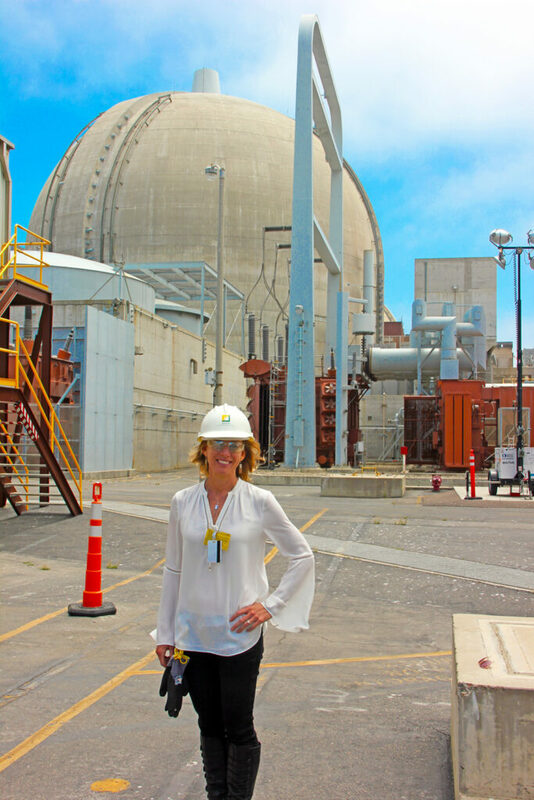 I attended a fascinating tour of the now-closed San Onofre nuclear power plant organized by Councilmember Tasha Boerner Horvath for a handful of local elected officials. It’s clear that the spent nuclear fuel at San Onofre needs to be safely removed from the site to an area that is less populated. In the meantime, it needs to be handled and stored safely on-site, as it has been for decades. The recent and ongoing outrage about the fuel being stored there is putting the needed pressure on federal elected officials and our regulatory agencies to move the waste away from our California coast. I now know a lot more about wet and dry storage of spent nuclear fuel. Public walking tours are offered twice every month, on a Wednesday and Saturday. It’s well worth it. Here’s the registration weblink. I imagine we’ve all had the experience of being so engrossed in an immersive book or movie that it just lights you up inside. It’s a transcendent adventure, really. I’ve recently had that with Ron Chernow’s biography Alexander Hamilton, and now to an equal degree with Lin-Manuel Miranda, who read Chernow’s book on vacation in Mexico and applied his own genius to that source material to create the hit Broadway musical Hamilton. The book and the musical crystallize five of our contemporary struggles, which remarkably, were as true for our founding fathers as they are for us today. The power play over which level of government gets more control — state or federal government. And the most potent sub-theme is the power of the written word to both create and destroy success. I’m so impressed with the craft of Miranda’s art. His ability to read that Alexander Hamilton biography and apply his own magic to it in a way that allows millions to understand the themes is stunning. People are finding joy in experiencing the musical and they leave thinking more deeply about our nation’s founding. I have no formal background in musical theatre, but I love the art form of the American Broadway musical (especially when it’s focused on history and politics). It’s been such a pleasure to become immersed in Hamilton. If you share a similar preoccupation, I’d love to hear from you! 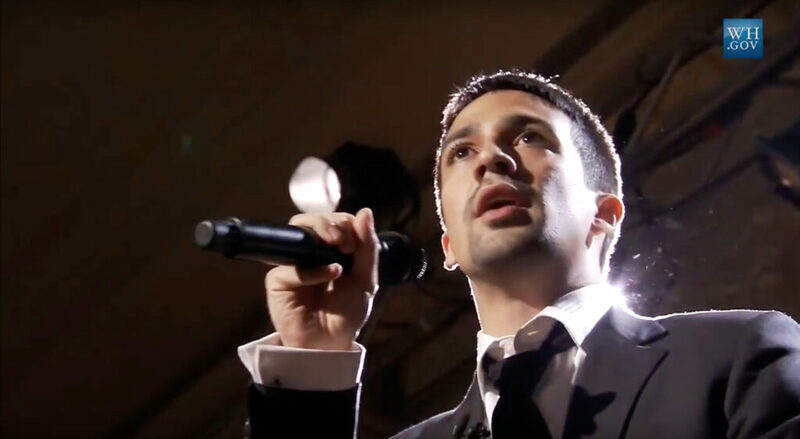 If you don’t know much about Hamilton and are curious, I’d suggest watching this short video of Miranda performing one song at the White House. – Jeremy McCarter, Hamilton, the Revolution.